The mangroves and seagrass beds around the islands of Kaledupa and Hoga provide fantastic natural laboratories to study a range of topics. 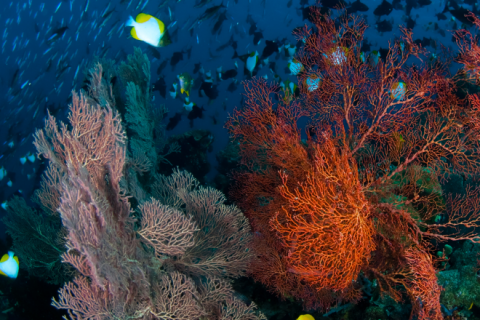 As reef-associated habitats, mangroves and seagrass beds play vital roles in ecosystem connectivity, providing nursery and foraging grounds for many reef fish species. 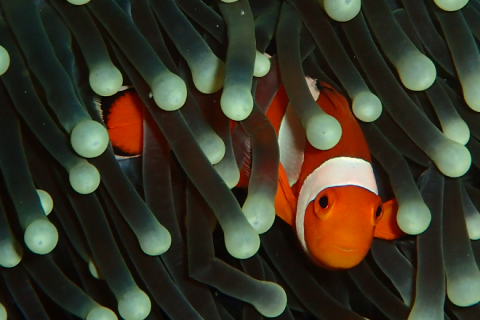 As such, potential projects could investigate fish assemblages, life stages, and behaviours found in connected habitats with differing levels of predation refuge. The zonation of these marginal habitats from shoreline to reef offer ideal conditions to investigate the effects of environmental gradients on benthic community composition. 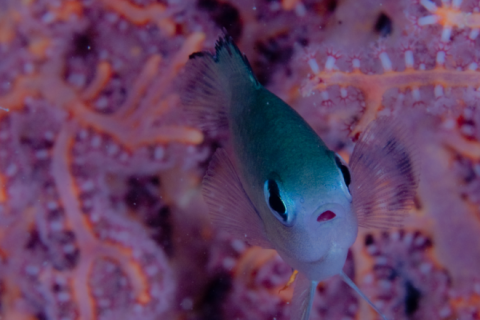 Furthermore, with the changing tides, these shallow-water environments experience frequent fluctuations in temperature and light, considered stressful for many organisms, especially corals. The ‘extreme’ conditions already hosted by marginal habitats have caught the attention of researchers as a means to investigate impending impacts of climate change through a ‘window to the future’. Examining the persistence of taxa at their physiological limits could hold the key to understanding their adaptive capacity. 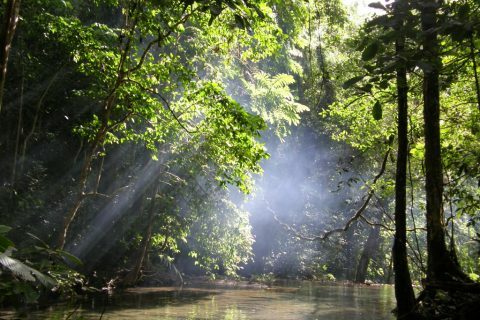 On a global scale, mangroves are extremely important environments for carbon sequestration, yet some forests suffer from human exploitation for firewood and construction. 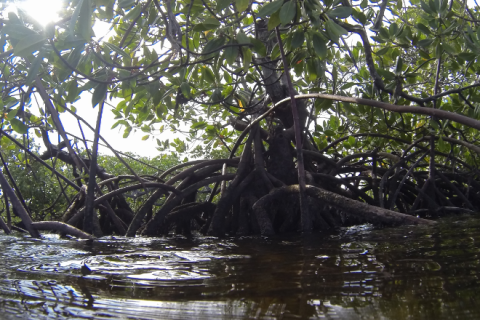 Projects could compare harvested stands with comparatively pristine mangroves for their infaunal invertebrate and epiphytic biodiversity, or their bio-physical ability to trap sediment from the water column. Other projects could focus on the contributions made by different guilds of biodegrading organisms to the release of carbon from mangroves, along environmental gradients e.g. bracket fungi, beetle larvae, termite and shipworm occurrence on wood detritus with distance from the shore. 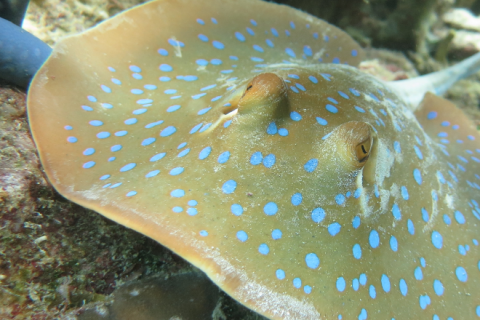 Dissertation projects conducted in the mangrove and seagrass environments have huge scope to fill knowledge gaps in these often under-appreciated, yet crucial inter-connected systems.